When it’s time for a good re-roof, Lake Oswego property owners have a lot of considerations to make. The first is whether or not a re-roof is the appropriate option. 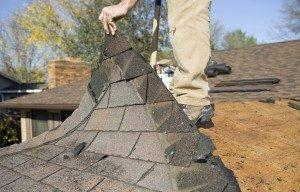 These can involve both repairs and the overlaying of new roof shingles, shakes, or tiles over existing ones. 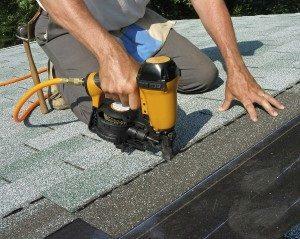 Roofs can only support a number of re-roofs, and for certain shingle types it can be best to undergo a tear off first. The expert re-roofers at Pioneer Roofers have been performing re-roofs in Lake Oswego for over 20 years. We’ll help identify the best option for you and provide exceptional work at an affordable price. Let our experts help you to determine the best course of action for your roof. There are a number of advantages to a re-roof, but without professional consideration you may find the results are lacking. That’s why we take some important measures for every single one of our customer before providing a re-roof Lake Oswego properties may not benefit from. Roof Inspection and Diagnosis – We always perform an inspection of the roof in question first. If a roof has already been re-roofed once, in many counties it may not be eligible for another one without a tear off first. Certain roof tiling, shakes, and shingles also provide an uneven finish without an initial tear off. A re-roof that is performed when it shouldn’t be can violate safety codes, look ugly, and leave gaps where pooling water and moss growth can cause structural damage. Roof Consultation – After our inspection we’ll consult with you. This allows us to present our findings, cover your options, and give you the opportunity to make a truly informed decision about how to proceed. We provide re-roofs Lake Oswego business and home owners can depend on. That means up-front pricing, expectations, and honest work. When you need a skilled re-roofing company, we’ve got you covered. With honest and detailed consultations, and services performed by experts using the highest grade materials, you won’t find a more reliable choice for your re-roof in Lake Oswego. Call (503) 281-0305 or Contact Us today for a re-roof Lake Oswego trusts.